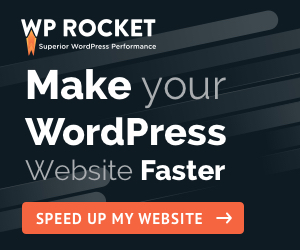 If you are planning to start a WordPress blog in 2019? Then you should not miss these Black Friday Web Hosting Deals 2018. As this will be the last chance in 2018 to get the maximum web hosting Black Friday discount on almost every single popular hosting companies. Almost every web hosting provider share their best hosting deals during Black Friday & Cyber Monday Week every year. If you don’t know when is Black Friday in 2018, it is on 23rd November. And after that from 26th November Cyber Monday will start and will continue till the weekend. Black Friday is the biggest shopping event throughout the world. Almost every single web hosting company will share their best deal during that period. Competition among these web hosting companies is so high that it creates an ultimate opportunity for bloggers to grab the best deals on web hosting plans. In this article, I am sharing the best 20+ web hosting providers and their maximum hosting discount offers on this Black Friday & Cyber Monday WordPress hosting sale 2018. A2 Hosting looks like a new name in the world of WordPress hosting but the fact is that they are in this hosting business from 2001. Don’t miss this year’s Black Friday hosting sale and A2 Hosting Cyber Monday deals, as like last year this year also they will come back with massive hosting discount coupons for sure. SiteGround offers their maximum 70% off discount during Black Friday web hosting sale. This is a good chance for bloggers to save maximum on such a high quality hosting providers. They are one of the 2018 top web hosting company as per the customer support and fast website loading. Siteground hosting plans are really awesome and they offer few of the key things like very good customer support, in-build page speed improvement system using their super cache plugin. They have won a couple of Facebook poll as the Best WordPress hosting providers. Then you are at the right place as I will help you to explore a few of the best Cloudways promo codes to save money on web hosting. And if you are looking for WPEngine alternative, then Cloudways is the one of the best. Get 65% discount on one of the most popular web hosting provider. Hostgator 60% off coupon is one of the popular web hosting coupons which you will find frequently in a year. But on Black Friday, Hostgator is offering even more discount on their web hosting plans including cloud hosting plans. So hurry up and grab the HostGator black Friday discount now. Hostgator Flash Sale is very popular and many people buy HostGator during Cyber Monday Week. Here is the complete details that you should not forget if you really to save huge on Hostgator Black Friday Sale 2018. After spending quite sometimes, finally, I have migrated my website to Bluehost from HostGator. If you are also want to be a part of this popular WordPress hosting provider, then this is the best time to grab a Bluehost account with a free domain name @ $2.65/mo only when you buy their 36 month plan. In addition to the 60% discount on hosting, BlueHost is offering a 50% discount on domain names. Starting Friday, November 24th at 12 am MT, BlueHost is offering their WordPress hosting Black Friday deal for as low as $2.65/month. Triple your site’s concurrent users. And on top of that during Black Friday 2018 Sale, you are going to enjoy 2 amazing deals. Deal 2: Three months for FREE on annual subscriptions across all hosting plans and all customers. Want to buy a NameCheap hosting plan? Then you are in the right place as I am sharing the latest Namecheap hosting coupon codes at this place. For this month, you will get 25% OFF Namecheap Dedicated Hosting discount. For more details and latest updates, better to check out NamecheapBlack Friday page. iPage is one of the cheapest shared hosting providers. Just start your self-hosted website by spending $1.99/month with iPage black Friday sale 2016. You will also get $100 Google Adwords and Bing ad Credit. iPage is one of the best cheapest web hosting providers and here are they offering in their plans. Looking for a reliable web host company with trust, then check out Dreamhost. They are in the market for a long time and Black Friday is the best time to get Dreamhost @ $2/mo for your new website. What’s Dreamhost Offering This Black Friday? Justhost is another popular web hosting company who are well known for affordable hosting services. You can have a look at just host black Friday sale where they offer a maximum discount of 50% OFF on their regular prices. Generally, they don’t offer this much discount for the rest of the year. Anyway, you can grab their hosting plan in case you have a plan to host multiple new blogs on the new host. Friday, November 23rd (12‌am MT) to Monday, November 26th (12‌am MT). Looking to upgrade your hosting plan to VPS then why not check out Host1plus black Friday sale where you can get 30% OFF on VPS plans and also get 2 additional back-ups for free of cost. Use BLACKFRIDAY at the checkout and choose from 3, 6 or 12-month billing cycles. Opt for longer and save extra – up to an additional 9% of a purchase! The longer the billing cycle you choose, the bigger the discount you receive. Want to get a free SSD drive hosting plan, then check out InMotion web hosting plans where you will get some cools offers at an affordable price. Inmotion black Friday sale is the best time to get 47% discount rate on their business web hosting. This Black Friday until Cyber Monday, InMotion will offer a 50% discount rate on their business web hosting. You can grab their hosting plans starting at $3.49/mo only. Grab the RoseHosting biggest Black Friday/Cyber Monday sale ever! Use Coupon RHBF17. Their fully-managed Linux VPS Hosting plans now have a 50% recurring discount. These offers are valid for new customers only. Existing clients are not eligible even if the existing VPS/server is canceled and transferred to a new VPS/server in order to receive the discount. If this happens, your price will be adjusted to the original non-discounted amount. GoDaddy is going to offer some massive Black Friday coupon codes during this promotional sale. GoDaddy is one of the cheapest web hosting providers and also the best domain registrar in India. Fastcomet is offering an astounding 30% OFF ALL New Shared Hosting Packages and 30% OFF ALL New Cloud VPS/Dedicated Server Plans for monthly and quarterly periods. On top, you get a FREE Domain and choice of Datacenter location. We are also sprinkling in up to 85% OFF on Selected Domains throughout the wholesale. Nestify is one of the best high performance managed WordPress hosting provider. With Nestify, You can launch WordPress or WooCommerce instantly and manage it with tools you love. Temok is glad to announce Black Friday/ Cyber Monday deals for our shared hosting (Linux and Windows), Linux SEO Hosting, reseller hosting, and VPS hosting plans. Please use promo code “BlackFriday2017” for new orders and pay through PayPal to get 40% discount. Black Friday 30% – Get 30% discount on monthly and quarterly billing with all billing methods. Black Friday 30% + Free Domain on Annual – Get 30% discount on annual billing with free .COM or .NET domainregistration / transfer. Black Friday PayPal free Domain + 40% discount – Annual: Get a Free domain and an additional 10% discount (total 40% discount) if you pay invoice through PayPal for annual billing term. WebHostingPad offers Shared, VPS hosting and dedicated server service. Its special introductory Shared hosting and WordPress hosting plans are really attractive, and they are worth to buy. Enjoy the Black Friday dedicated server deals, cheap web hosting offers during this period only. Liquid Web Black Friday live on Nov. 2018 with awesome deals & discounts. Get ready to grab powerful VPS hosting for the lowest price. Save 50% for 3 Months on upgraded Dedicated Server products! Starting at $149/mo! Hostmonster is having a Black Friday sale but being an EIG-owned company, I don’t recommend you go with them. Rather you can try out Bluehost, but if you still want to try Hostmonster, here are the details of their Cyber Weekend discount again. Interserver Black Friday deal can get you huge discounts. So, if you are planning to buy a hosting from Interserver, Black Friday is the right time to do so. Interserver is offering the first month of their shared hosting to our readers at just 1 Cent. So, you get the first month for almost nothing and then pay just $2.5/month for life. The only tip I can say here is to stay alert about this deals. As it is not possible to keep a track of all the best web hosting deals, I would say it is better to follow this page. As I will be updating this page with all latest 2018 awesome Black Friday hosting deals in November 2018. Not only that, but I will also track and note the Best Cyber Monday Web Hosting Sale 2018 on my website. So, try to make this holiday season more profitable by investing for your blogging career. Yes, this is an investment for your blogging business, if you are seriously planning to start a blog in 2019. We are looking for great hosting discounts in this Black Friday. Which is the best hosting for PBN from your list ? We need to host 100+ sites with different class IP . If you have any other thought on my thread then i love to hear that. Cloudways – A Managed Cloud Hosting platform also has a Black Friday deal, you might be interested in. Hi, Looking buy siteground hosting, whatsa the starting date of this discounts ? Hi Heeren, SiteGround will run this sale Starting on Black Friday (November 23) through Cyber Monday (November 26). They are going to offer a 75% discount on their web hosting plans. Keep a track of SiteGround Black Friday 2018 Deal. Thanks for putting this list together. I am a huge fan of Siteground. If I wasn’t already using their service, I’d jump on that deal. I am going to check out the SEMRush deal. SiteGround is really the best-rated WordPress hosting providers. Keep a track of this page for all upcoming & updated Black Friday 2018 Deals.